Thanks so much for attending our presentation last week. We really enjoyed meeting everyone and sharing with you our passion at MediaSauce for internet marketing and social media. I hope you learned a lot – I know I did by talking to you about your businesses and online needs. The PowerPoint has links to various websites built into it but if I mentioned something in particular that you want to know about I’ll try and get back to you on this post. View more presentations from MediaSauce. The worksheet we handed out at the presentation is available for download complete with answers below. Again, if you have questions you can email me or just comment on the blog. Thanks and good luck with your businesses! Internet Marketing 101: How to read Google Analytics? When I first started this series on Internet Marketing 101, I told you how to set up Google Analytics on your site. Now let’s see what Google Analytics can really tell you about your site? I don’t have a whole month’s worth of data on my friend’s site, www.veinskincareinstitute.com, but I do have enough to teach you guys how to read the data and what I would consider important. Let’s log into our account and see what the site is up to. First, we see the Dashboard. Here we can find several things quickly. We see our mountain range of user activity. 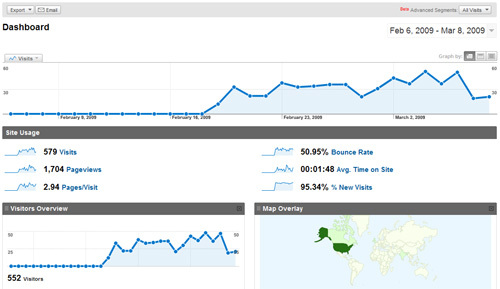 Looks like on average we get about 30 users a day visiting the site with 579 Visits. 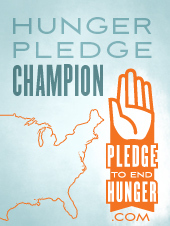 My friends at MediaSauce and I are trying to feed hungry kids in Austin, TX with www.pledgetoendhunger.com. Tyson Foods will supply an entire trailer truck of food (35 lbs of food per click). Kimball Office’s Hum Office and Share Our Strength both helped with some much needed resources. MediaSauce and Kombolt provided the big idea, strategy and technical firepower. All we need is a 1000 people to pledge to help. You can give, share or volunteer. One click, 35 lbs of food, feed 140 children. Once we hit 1000 people, the challenge changes and Indiana can benefit from the food. Tyson will fill two more trucks and send them to the states that have the most pledges on the site. It’s so easy to do, just click the link and sign up. 2 minutes of your time – a full belly for a kid that seriously needs it. You don’t know how much I appreciate it. 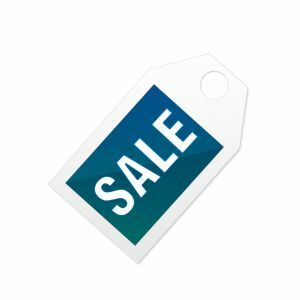 Back on Feburary 20th, I began a series on Internet Marketing 101: How Do I Start Marketing on the Web? I’m using a friend’s business as an example. It’s a vein treatment center located in St. Louis called Vein Skincare Institute. She is answering the first of my four questions. This is not how many questions we ask during an investigation of a company. It’s just used for her as an example. With her four answers, we’ll start working a strategy online that can help transform her business. Instead of surviving, she’ll thrive and grow and, eventually, change the world. Or at least, the world of vein treatment. We are a full service vein treatment facility (phlebology) for problematic veins on the legs primarily; but we treat had, face and truncal veins as well. We have a rather large tool box of treatment options, including injections, laser, intense pulsed light, and surgery. While we have many other skin deep beautification services (laser hair removal, fotofacial rejuvenation, skin peels, permanent cosmetics, laser removal of tattoos, brown spots, birthmarks, etc), our main focus and that which drives our business is the treatment of problematic and unwanted veins. In other words, if we grow our vein business, then the other services will grow thru cross-sales after confidence is gained after vein treatment, or patients see and hear about other services while in our building or webspace. Our business works by attracting patients to our expertise, where they will receive a no charge consultation from a medical expert, followed by a summary meeting with a sales/marketing specialist, hopefully an appointment made, treatment to follow usually in multiple visits over several months, then after successfully addressing the initial concern, maintenance future regular visits…with multiple opportunities at various points to market to this population for cross-sales and referrals. We mostly run with one full time physician and a very part-time physician, a nurse and an ultrasonographer. The business was designed to be a 2.5 fte physician, and 2.5 nurse/laser tech facility, ie lots of room for growth. Optimally I would like to see 3-5 new consults for veins a day, and “close” about 70% of them for treatment. I would like to generate about 25 surgeries per month (some patients need injections only, and some need surgery and then injections). So this is a long winded answer to your question: basically we would like to average about 4 new consults a day. This number would generate a cascade that with consult/sales/treatment and follow-up including marketing, would give us very successful numbers! I’m glad that she followed my advice about a specific number in mind. So I immediately wanted to know what they averaged in the past. Sometimes you’ll find a client that wants to jump from zero to max right away. So I wanted to know what the reality is compared to the expectations. She got back to me with this answer. 246 consults last year. So let’s guess that there are 260 work days in a year and minus out vacation and holidays so that would probably take out 30-40 days. On the low side 220 work days at 246 consults. That’s a little more than 1 a day. She wants me to quadruple that? Wow, that’s ambitious. I asked her how that breaks down and she replied with this. We have our peak periods we call it “vein christmas” (that’s kinda creepy) that runs from Feb thru May so we tend to get the greatest # of consults around that time. jan 16 consults, Feb – 10, March – 36, April – 36, May – 27, June – 27, July – 12, August – 12, Sept – 15, Oct – 2, Nov – 13, Dec – 11, Jan – 12, Feb – 17. Yes pls quadruple the number! If we go on the basis of last year, we need to move quickly right now because “vein christmas” is just starting. Next we’ll go over Question 2. What is your current marketing strategy and how is it doing? What are your tactics to complete that strategy. You should have a record of what you are spending and how you are spending it and what it is bringing in. ROI is very important for each individual piece but don’t kill something just because it’s not performing as an individual (you should know how it is integrated with all of your marketing efforts). I love strategy and tactics – so this will be a fun one.